Vietnam launches their first Helen O'Grady Drama classes this week in Hanoi on Wednesday evening October 19th and Ho Chi Minh begins on Saturday October 22nd. After several discovery classes held at the beginning of this month, parents are now enrolling their children for English drama classes with the aim of improving their communication skills in the language. 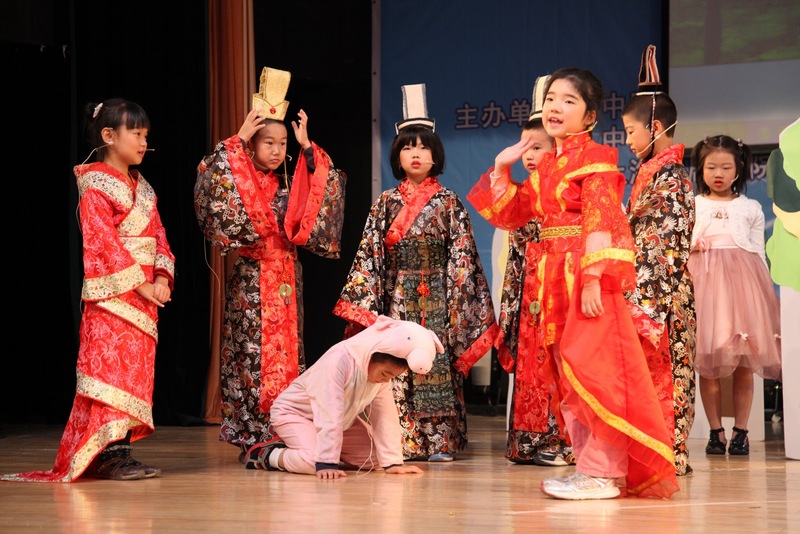 Students elaborately costumed for their first English performance of "The Emperor and the Nightingale" on October 3rd at Shi Jia Elementary School in Chaoyang. The students won 2nd place in the competition held from October 3rd to the 5th in Beijing. Classes are conducted at 卓美教育 Xihuan Plaza, Xizhmen 10C1 on Saturday and Sundays as well as various elementary and preschools during the weekdays in Beijing and on both weekdays and weekends at Jilin(Changyi district). For class enrolments, please call +86 010-5830 1872 for Beijing and 0432 6242 7026 for Jilin branch. 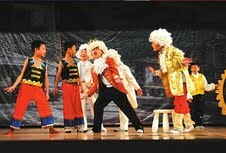 October 3rd - 5th marked the first school performances and Drama-In-Education forum in Beijing. This public event attended by more than 1000 families was hosted by Beijing Dreamaker Organization in collaboration with China Youth Development Center and Shanghai Theatre Academy. Experts from Hong Kong, Beijing, Shanghai and Singapore were present as panelists to judge the many participating schools and centers. Included in the performances were groups from the Aspergus Association and Weston High School from Boston, Massachusetts. 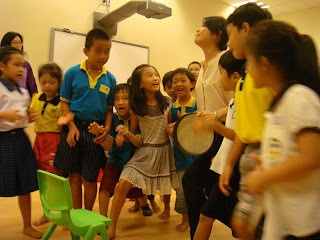 This platform raised the profile of the need for Drama in China schools. Children with the confidence to perform demonstrated their abilities to think on their feet, co-operate and work together as a team. According to one of the judges Ji Shi Loong who is reputed in Beijing film industry and a Drama instructor, "A great performance is one enjoyed both by the audience and the actors. It is also one that is lovely to look at." 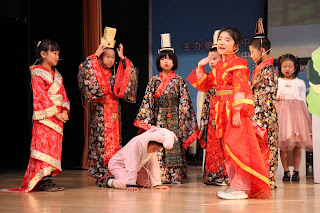 This was evident in the first English performance, "The Emperor's New Clothes", scripted and directed by Rebecca Shatford and performed by children from 7-10 years old from the Helen O'Grady Drama Academy of Beijing. The children enjoyed their public performance and worked very well as a team.